In this article, we’ll look into the artificial intelligence and machine learning solutions available to healthcare providers looking to manage their data infrastructure and legacy documents to best comply with and make the best out of the Affordable Care Act. We’ll do this by covering four companies offering data management and business intelligence software with AI capabilities such as predictive analytics. First, we’ll we’ll provide an overview of the capabilities of AI for the ACA. Healthcare providers and Accountable Care Organizations (ACOs) need to be able to find their most prominent value indicators in order to have their reimbursement claims accepted, and those value indicators can come from various business areas. Decreased operating costs can increase the value of care a provider can deliver, as can eliminating wasteful and superfluous expenditures. Standardizing care and best practices by analyzing the results of medical operations can create more consistent and valuable care as well. This is because if a provider can find a set of best practices to train all their existing and new staff, they can assure that their care delivery is high in value across caregivers. Keeping track of all of this and marking every possible reimbursement opportunity can be a difficult challenge for business leaders, which is why some companies offer software to help healthcare companies comply with the law. We’ll start our analysis of the capability space of AI for managing and complying with the ACA with Dimensional Insight. Dimensional Insight offers software called Diver Platform, which it claims can help Healthcare companies adapt to value-based hospital reimbursement using predictive analytics. The Diver platform also contains various chart and table types for users to create custom visualizations from their data results. The company states the machine learning model used in Diver Platform needs to be trained on a client’s business and patient data from electronic medical records (EMRs) and financial records. This data would involve resource use, company spending, and the overall health of the provider’s patient population. Then, Dimensional Insight or a company data scientist would expose the algorithm to this data. This would train the algorithm to form correlations between data points and healthcare practices that produce the most and least waste and improve patient health the most. It would also be able to correlate company spending to patient health to show where spending may need to be reallocated. The software would then be able to predict which areas of the business need to be updated to offer valuable care, such as care methods that produce high volumes of waste. This could also include reducing costs wherever possible and requiring better documentation on when resources are used. For example, if the use of IV bags is not measured accurately, a healthcare provider may not be able to claim the correct amount of money to be reimbursed for. This may require the client to upload data regarding any recent changes to medical protocol or newly acquired resources into the software prior to running the analysis. Dimensional Insight claims healthcare clients can integrate the software into multiple and disparate databases or data warehouses holding data on hospital spending and resource use. Below is a short 1-minute video showing what an executive dashboard on Dimensional Insight’s Diver Platform can look like. Dimensional Insight claims to have helped Western Maryland Health System overhaul their business intelligence system to work with value-based care. Western Maryland Health System integrated Dimensional Insight’s software into its existing data sources for EMR, EHR, and financial information. According to the case study, Western Maryland Health System went from losing $1.2 million to gaining $1.3 million after implementing the Diver Platform and organizing value-based reimbursement. Dimensional Insight also lists Randolph Hospital and Doctors’ Center Hospital as some of their past clients. Stanley Zanarotti is co-founder and CTO at Dimensional Insight. He holds an MS in computer science from MIT. Zanarotti holds the patents for the technology behind all of Dimensional Insight’s solutions. Change Healthcare Inc. offers software called HealthQx, which it claims can help healthcare providers transition to value-based care and reimbursement using predictive analytics. HealthQx leverages AI in addition to several tools that, when used together, help healthcare providers switch to value-based care, such as episodic claim grouping. This allows the software to detect the dates where a rise in operational costs begins and ends, and labels this period of time as an “episode.” The client healthcare provider can use episodic claim grouping to focus in on a specific surge in costs and find exactly how much they can be reimbursed for. Episodic claim grouping organizes a process that would normally be prone to human errors, which in this case could lead a healthcare provider to a lower reimbursement amount. The predictive analytics portion of the software can then take those episodes and use them to find insights for further analytics projects. This is called episodic analysis. The machine learning model behind HealthQx likely needs to be trained on thousands of a client healthcare provider’s records, such as patient data, EMRs, claims data, and financial data. All of this data would involve resource and operations costs, patient health and satisfaction, and items or services that could be reimbursed by the ACA. Then, Change Healthcare or a client’s data scientist would run the data through the software’s machine learning algorithm. This would train the algorithm to determine which data points correlate to value-based reimbursement opportunities and healthcare practices that raise patient population health. The software would then be able to make predictions about which services or items could have their cost reimbursed, as well as which healthcare practices or business operations could be changed to increase patient health. However, this may require the user to upload data regarding new business operations or recent changes to patient histories into the software beforehand. Change Healthcare claims users can integrate the software into existing EMR and healthcare business intelligence databases. We could not find a demonstration video showing how HealthQx works. Change Healthcare does not make available any case studies showing a healthcare provider or insurer’s success with the software. Change Healthcare claims their value-based solutions such as HealthQx is currently being used by health plans covering 33% of commercially insured citizens in the US. However, they do not list any major clients by name for HealthQx. Nick Giannasi is Chief AI Officer at Change Healthcare. He holds a PhD in Molecular, Behavioral, and Morphological Evolution from the University of Wales. Previously, Giannasi served as VP of Life Sciences Product Strategy at Oracle. Health Catalyst offers software called the Health Catalyst Data Operating System (DOS), which it claims can help healthcare providers find important insights in their data. Users can manage population health and adapt to value-based care using predictive analytics. The company states the machine learning model behind the software was trained on tens of thousands of healthcare provider records such as financial data, patient information, and clinical data such as that from an EMR. The data would then be run through the software’s machine learning algorithm. This would have trained the algorithm to discern which data points correlate to the highest and lowest health risks in patient populations, the lowest operational costs, and the services that are eligible for reimbursement. The software would then be able to predict which patients are at the most risk or need the most care, which practices can be changed to decrease waste and excess costs, and which items or services the client can be reimbursed for. This may or may not require the user to upload information about their future patient health initiatives or recent changes to medical protocols into the software beforehand. Health Catalyst claims healthcare providers can integrate the software into existing databases holding EMRs, financial documents, and patient histories. Health Catalyst claims to have helped Acuitas Health make the transition to a value-based care delivery system. Acuitas integrated Health Catalyst’’s software into its EMR. According to the case study, Acuitas became able to obtain complete descriptions of individual healthcare cases and improve outcomes with decisions based on actionable data. Acuitas could also start tracking their ongoing initiatives and how their outcomes affect health and finances. Health Catalyst also lists Mission Health and Acuitas Health as some of their past clients. Elia Stupka is Chief Analytics Officer and Senior VP of Life Sciences Business at Health Catalyst. He holds a PhD in computer science from Leiden University. Previously, Stupka served as Senior Director of Data Science and Bioinformatics at Dana-Farber Cancer Institute. HBI Solutions offers software called the Spotlight Analytics Platform, which it claims can help healthcare providers and ACOs improve patient population health and reduce costs using predictive analytics and natural language processing. The Spotlight Analytics machine learning model needs to be trained on data from a client company’s databases holding EMRs, claims data, billing data, and clinical data. This would involve company spending, insurance claims, prescribed medicines, and patient history. A data scientist would then run the data through the machine learning algorithm. This would train the algorithm to discern which data points correlate to which patients need the most care, have an increased risk for sickness or disease, use more resources, and have a higher mortality rate within a patient population. The software could then predict disease, mortality, future resource utilization, and costs within a patient population. The software would also be able to predict which patients should be prioritized due to their risk levels. This may require the user to upload data about recent changes to a patient’s medical history or new business operations into the software before running the analysis for the best results. HBI Solutions states that their Spotlight Analytics Platform uses natural language processing to extract patient health and symptom data from EMRs, discharge summaries, and physical exam records. Because of this, we can infer that their software would need to be trained on thousands of clinical documents from the client’s patient population. Keywords in the documents relating to patient health, experience, or symptoms would be labeled as such, and then the labeled documents would be run through the machine learning algorithm. This would train it to discern the words and chains of texts that, to the human brain, may be interpreted as a symptom or experience recorded in a patient’s medical history. The software would then be able to discern the new data points within the EMRs and factor them into analytics results. HBI Solutions claims that their software can integrate with “any and all data” to train the machine learning algorithm for Spotlight Analytics. However, it should be noted that they do not claim to have any machine vision or optical character recognition software built into the solution. So it is unlikely they are able to process data from pictures or videos. HBI Solutions does not make available any case studies showing a healthcare company’s success with the software, but it lists St. Joseph’s Healthcare as one of its past clients. Le Zheng is Director of Data Science at HBI Solutions. He holds a PhD from Tsinghua University. However, it should be noted that his academic field is not listed on HBI Solutions’ website or Zheng’s Linkedin page. 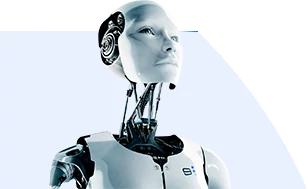 We caution readers to take this into consideration when looking for AI solutions. InkWood Research estimated the size of the artificial intelligence market in the healthcare industry at around $1.21 billion in 2016. We surveyed more than 50 executives from healthcare companies previously and laid out the state of AI applications in the healthcare space. It seems AI-based healthcare innovations have made their way into Asia, led by developments in China, India, Japan, and South Korea. Numerous companies claim to assist healthcare professionals in Asia with aspects of their roles, including assisting in diagnostics, remote caregiving, and improving a patient's ability to manage their health using data from wearable devices.